The 2012 awards have now closed. Check back later in 2013 for the new competition. 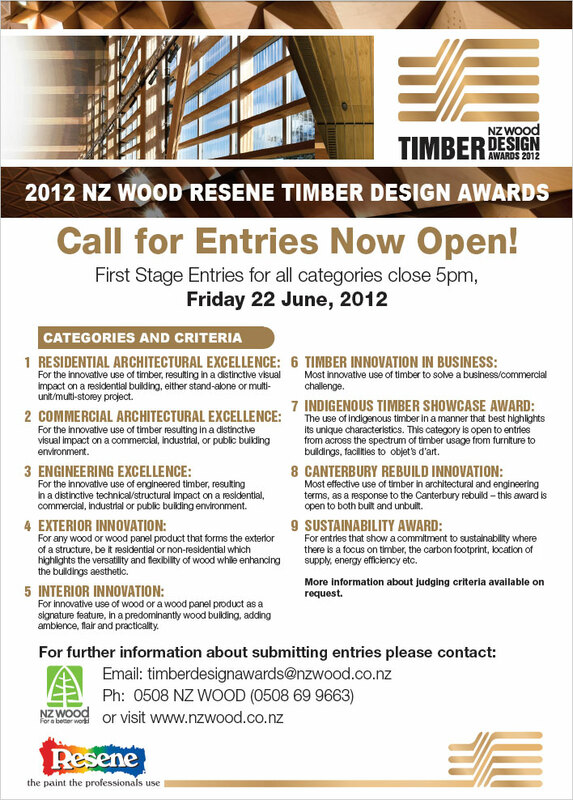 See www.nzwood.co.nz for wood design inspiration.